Montreal is a city known for its beautiful historic churches and cathedrals. Église du Gesù, a magnificent church situated in the heart of downtown Montreal, opened its doors in 1865. The basement in the church has housed an amphitheater dedicated to the arts for almost 100 years. It was renovated in 1992 and reopened as Le Centre de créativité du Gesù. The facility offers space for art exhibitions, conference rooms and a magnificent amphitheater that seats 425 patrons. Despite its relatively spacious capacity, it provides a remarkably intimate concert experience. The site lines and acoustics are just outstanding. 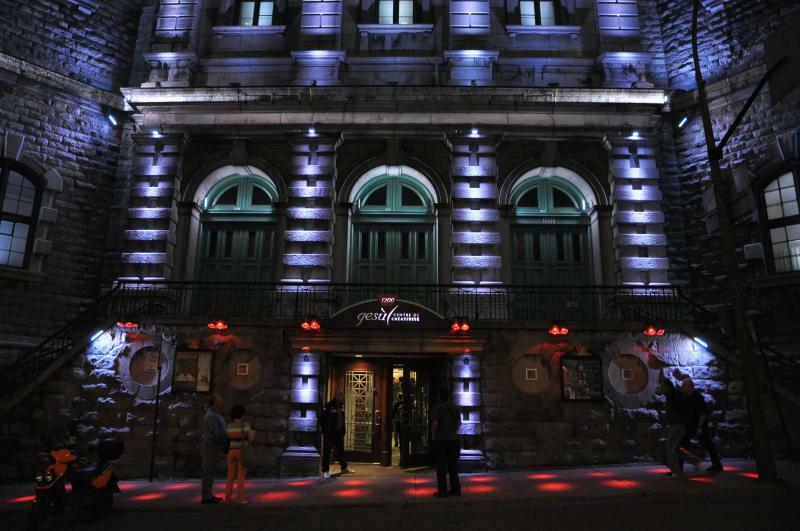 Gesù concert hall has been a primary venue for the Festival International de Jazz de Montreal (FIJM) since 1993. The hall is used exclusively for the presentation of jazz during the festival and invariably offers a strong lineup of concerts. Gesù present two series, an early evening "Invitation" series and a late night "Jazz Dans La Nuit" series with a 10:30 start that often features more adventurous music. The crowd at Gesù typically includes many of the most dedicated and knowledgeable jazz fans. 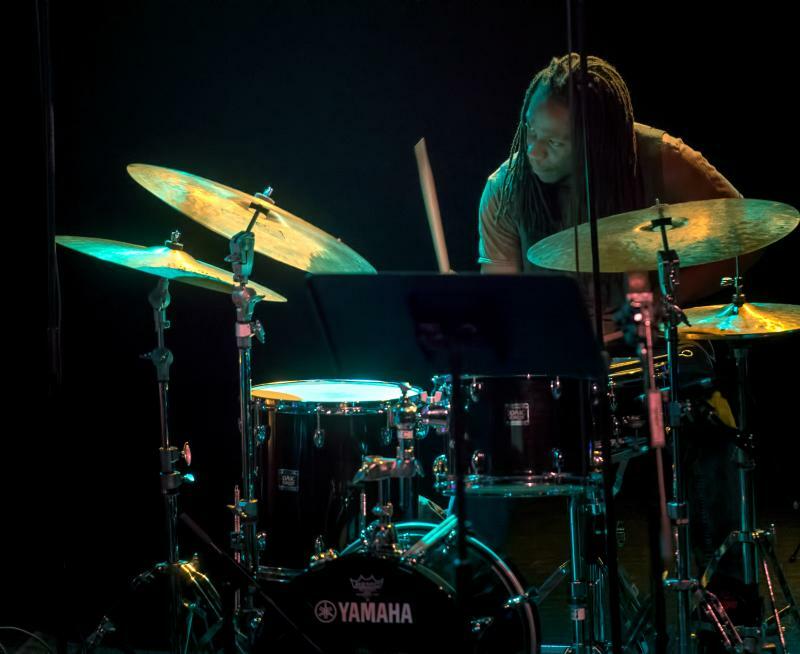 Musicians often express their appreciation for the venue and its enthusiastic patrons. Gesù has been the scene of many memorable concerts over the course of the last 25 years. I don't know if spirits inhabit the concert hall, but I've been witness to sparks of musical magic on many occasions. When that happens, it's a remarkable shared experience. The Invitation series dates back to 1989. 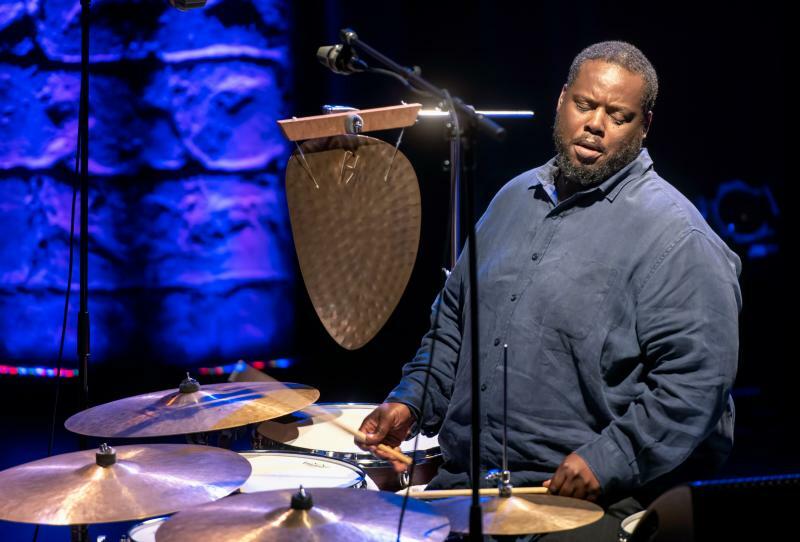 The concept is that a notable jazz artist would be invited to play several concerts over the course of nights with an array of different groups that reflects the breadth of their artistry. 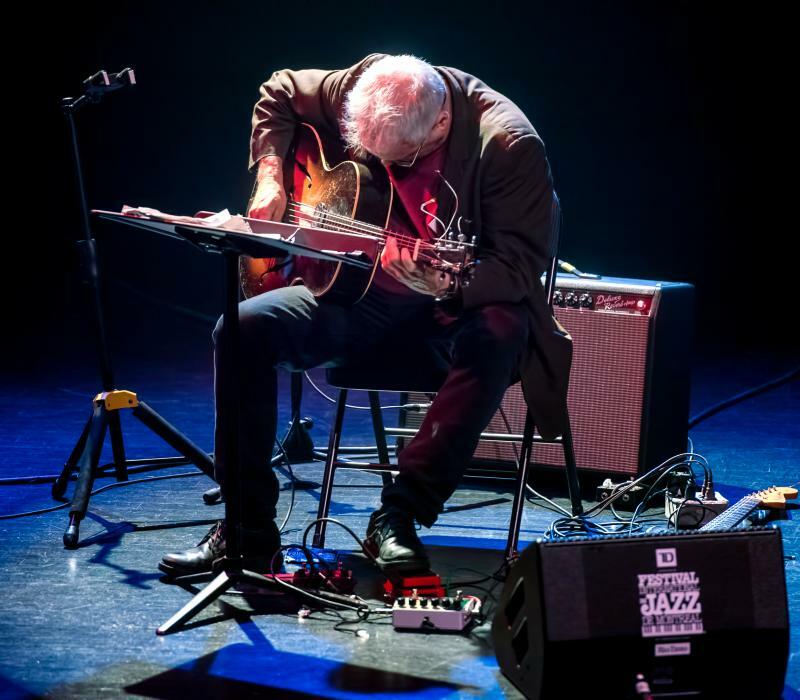 The late Charlie Haden performed eight legendary concerts with artists ranging from Paul Bley, Joe Henderson and the Liberation Music Orchestra. They were recorded and released as the Charlie Haden Montreal Tapes. 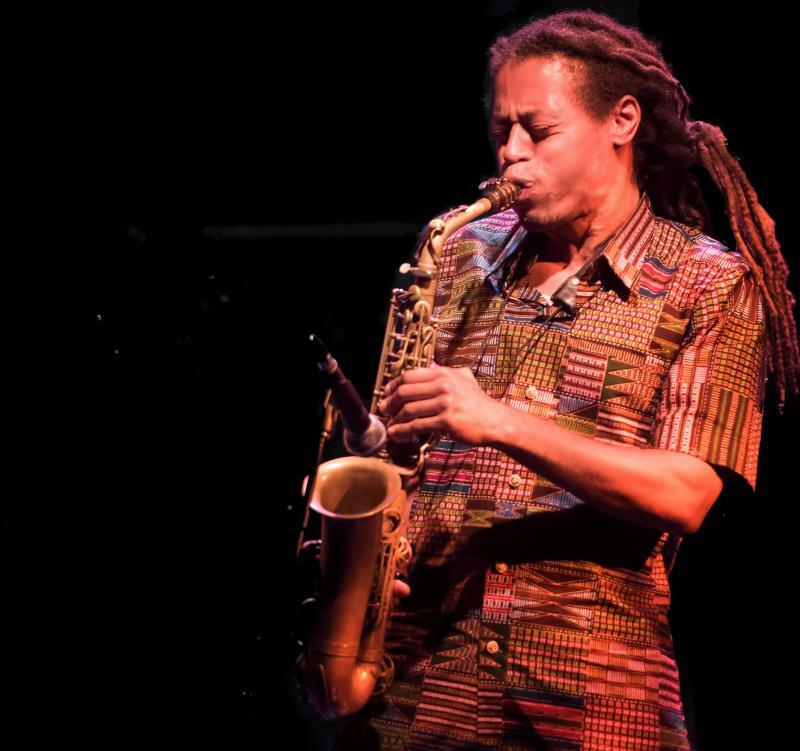 The series has also showcased artists such as David Murray, Randy Weston and John Zorn. In recent years, the festival invites three different artists to perform with different groups over the course of three nights at Gesù. 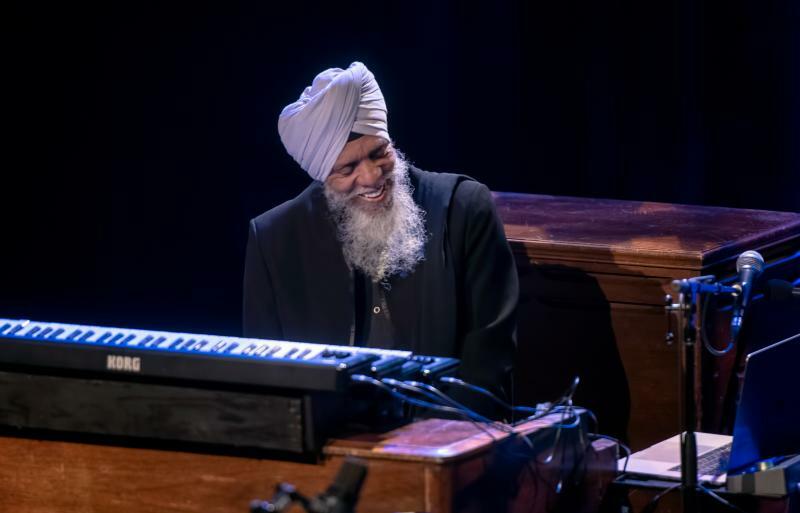 This year's series included John Medeski, Mark Guiliana and Dr. Lonnie Smith. 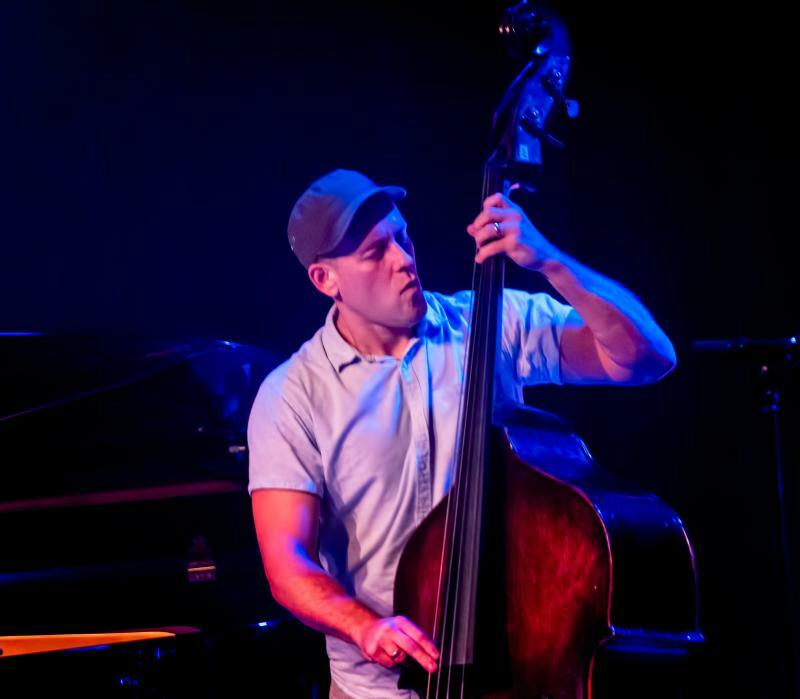 The first of three Medeski concerts that featured Marc Ribot on guitar and J.T. Lewis on drums. 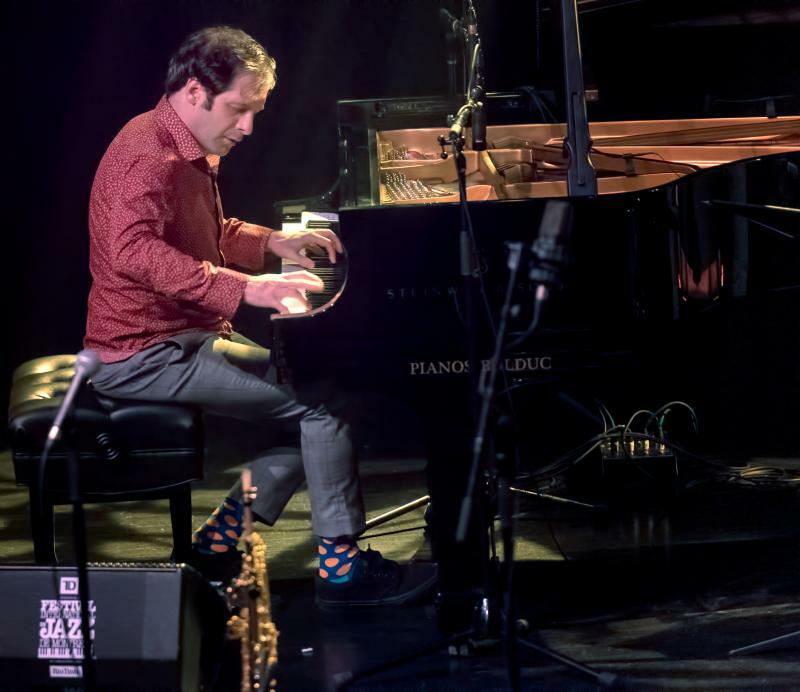 I have been a longtime fan of both Medeski and Ribot but had no idea what to expect. If I had to sum it up as a headline, it might read "60s style organ guitar combo trio plays funky greasy blues thing with forays deep into early 70s space rock." 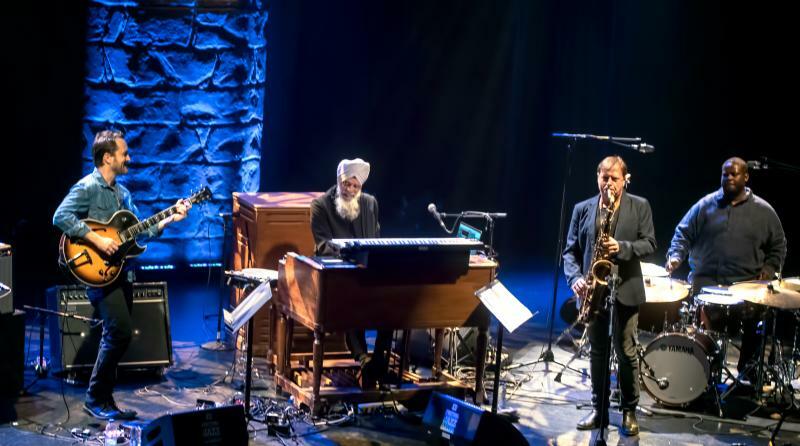 The concert was an enjoyable stew of soul jazz coupled with a healthy dose of rock and funk. 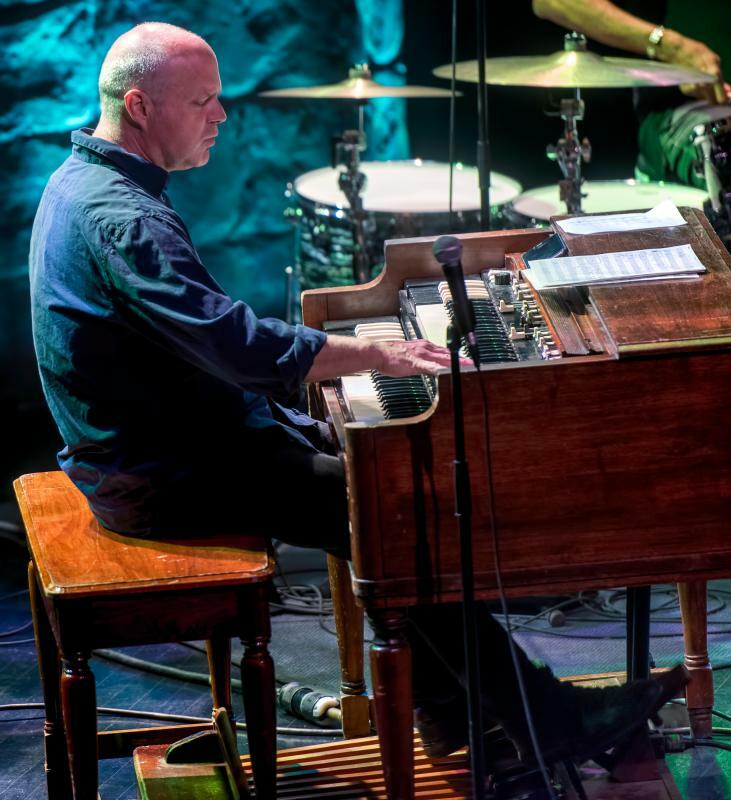 Medeski can be an intensely physical player on the Hammond B3, simply assaulting the keyboards and pedals at breakneck speed. 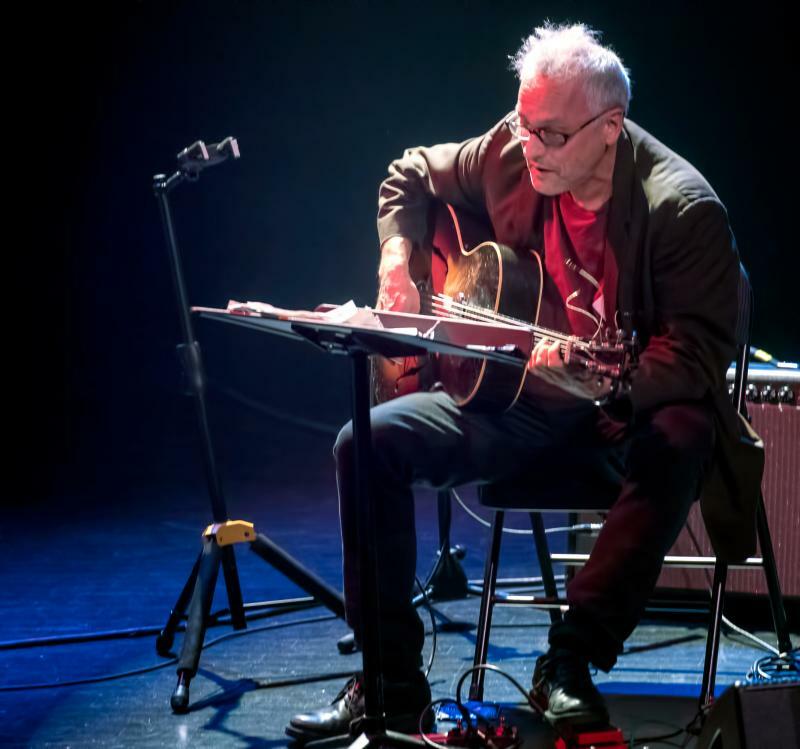 Marc Ribot matched Medeski every step away, both shredding fiercely on his guitar and playing with a kind of soulful romantic strain. It's too easy to pigeonhole Ribot as an NYC avant-garde guitarist. 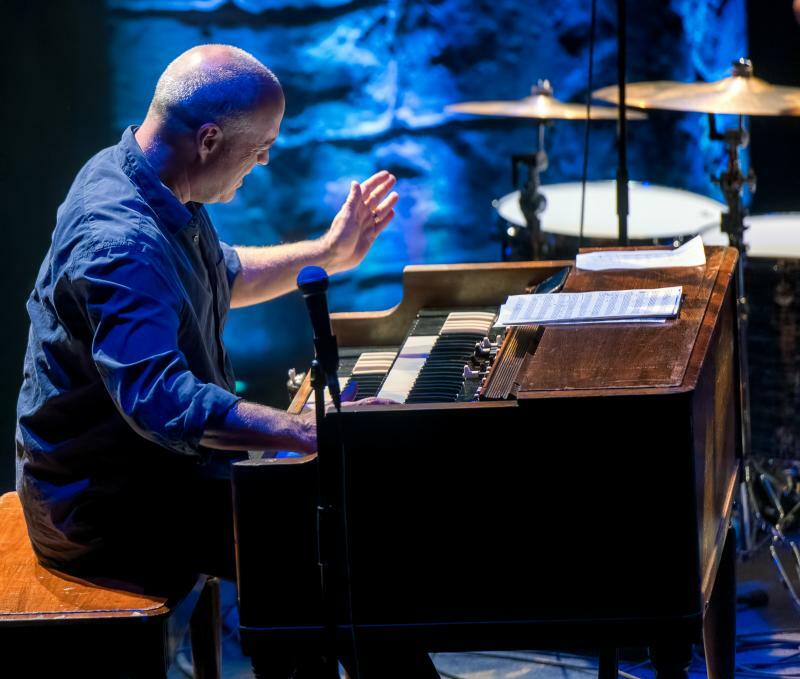 That is clearly one of the things that he does, but (like Medeski) he is incredibly versatile as evidenced by his involvement in an enormous range of projects include those of his own and those led by other artists. The Trio delved deep in funky old soul playing Don Covay's Sookie Sookie (later made famous by Steppenwolf) and a somewhat up-tempo version of Horace Silver's Strollin. The last song of the set was Marvin Gaye's "Ain't that Peculiar." This group (often) sounded right out of 1969, but all three of them were totally in their element. This concert was both a great musical experience and outrageous fun. 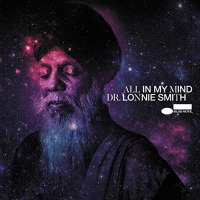 Dr. Lonnie Smith is enjoying something of a career renaissance at age 76. 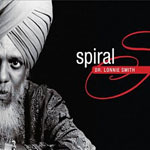 Last year, he was named an NEA Jazz Master, perhaps, among the highest honor that can be bestowed upon a jazz musician. 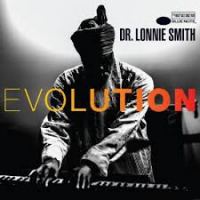 In 2016, he returned to the prestigious Blue Note label (after nearly 50 years) to record the first of two excellent albums, Evolution and All in Mind. Smith was the last of three artists in the Invitation series at Gesù. 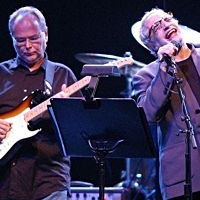 He performed each show with his excellent trio featuring Jonathan Kreisberg on guitar and Johnathan Blake on drums. I attended the first two of these shows. Mark Sullivan provides an excellent detailed review of them in his article on the festival. 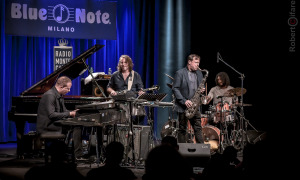 Chris Potter was the invited guest for the first show. 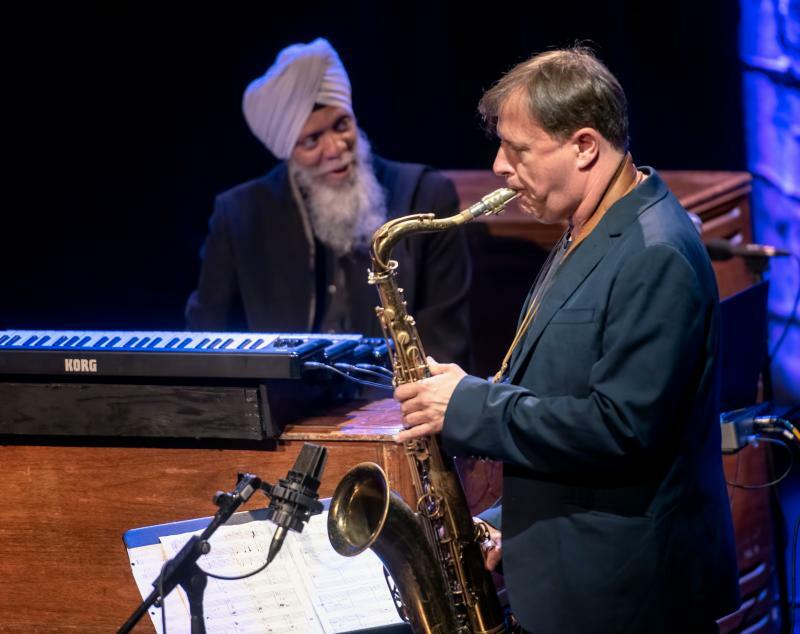 Potter had performed the night before with Dave Holland and Zakir Hussain. To the best of my knowledge, Potter had never previously played with the Trio and I imagine they had limited time to rehearse before the show. However, this was no polite guest appearance. The spontaneously formed quartet immediately proceeded to set the house on fire beginning with a revved-up version of Jimmy Smith's Mellow Mood. The chemistry was instant and all four musicians were locked in from the outset. 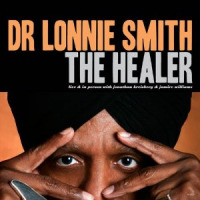 In the past, I found Smith to be something of a mysterious, inscrutable individual who did not say much to his audience. Admittedly the flowing beard and the turban add something to his mystique. On this night, he was smiling, physically responding to his musicians and clearly having a very good time. Kreisberg is an exceptionally fine melodic guitarist and had great telepathy with Chris Potter. 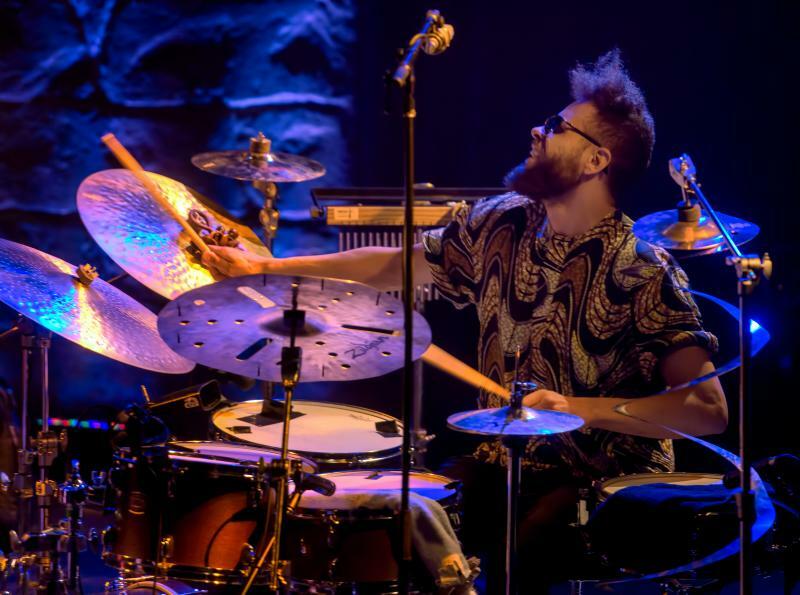 Blake is a unique and compelling drummer. 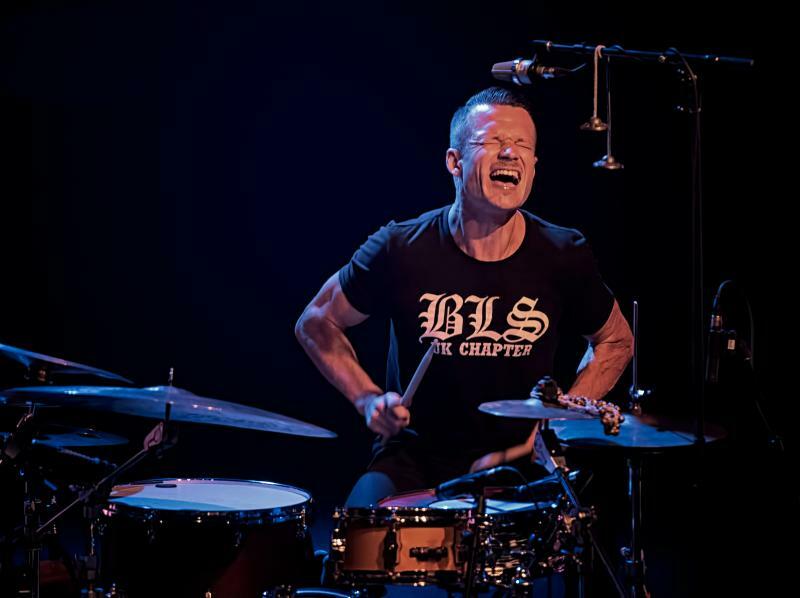 He configures his symbols somewhat differently than other drummers, and this gives them a unique timbral quality and rapid response or immediacy around the beat. Potter was given ample space to solo and did so completely without restraint. His sparkling solos were easily among the highlights of my festival experience. 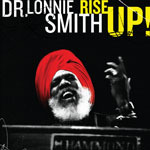 Smith is not only at the peak of his artistry but can burn on the Hammond B3 like anyone half his age. His mastery of the organ was complemented by his selective use of the keyboard, electronics and sampling. The set ended with a marvelous somewhat up-tempo version of My Favorite Things. I had high expectations for this show, but they were easily surpassed. It was one of those magical nights at Salle de Gesù. 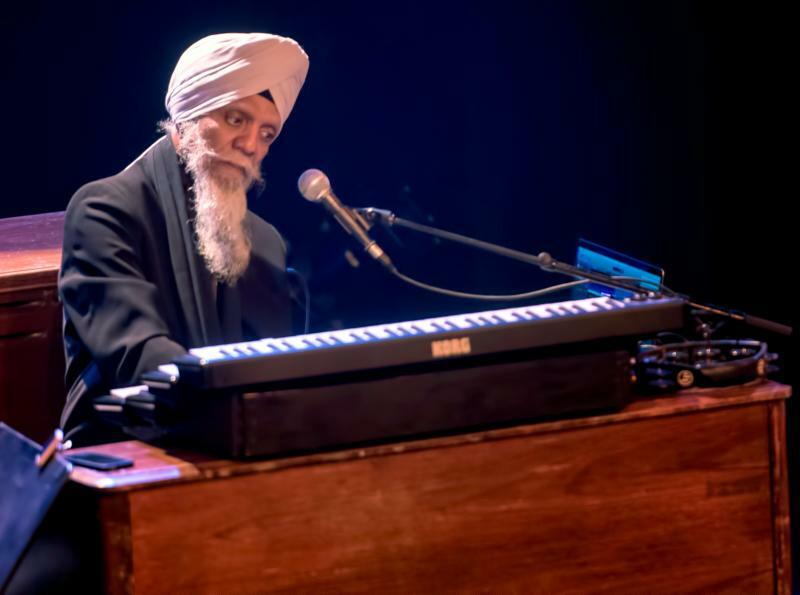 The following night, Dr. Lonnie Smith led a band called Evolution (drawing on his second to most release on the Blue Note label of that name) that included his trio and added fours horns. Vocalist Alicia Olatuja was also featured on certain songs. I refer the reader to Sullivan's review of the concert for additional details. It was another great night of music and was great fun even if it did not quite rise to the level of the previous night's performance. 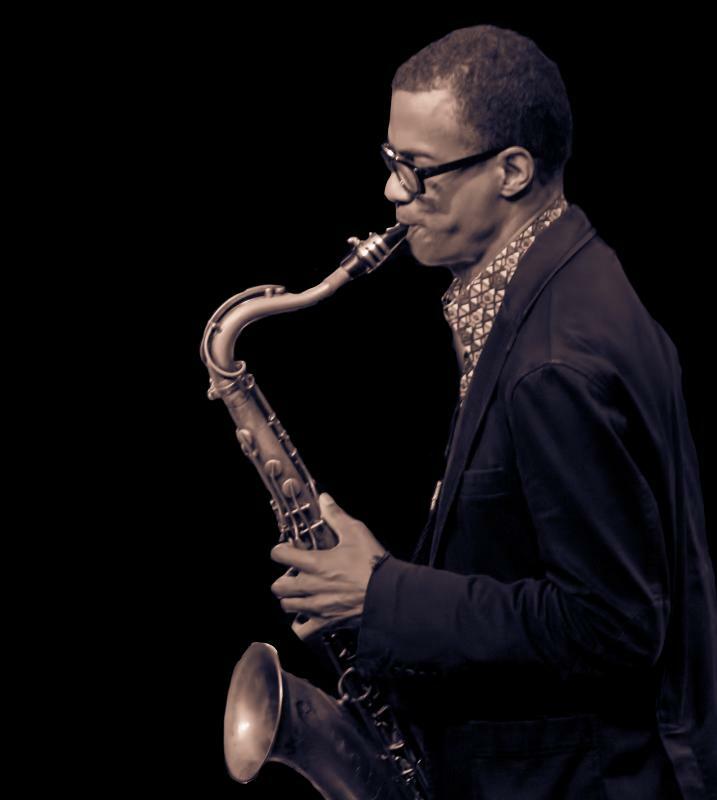 Highlights of the show include solos by tenor saxophonist John Ellis and Jason W. Marshall on baritone. 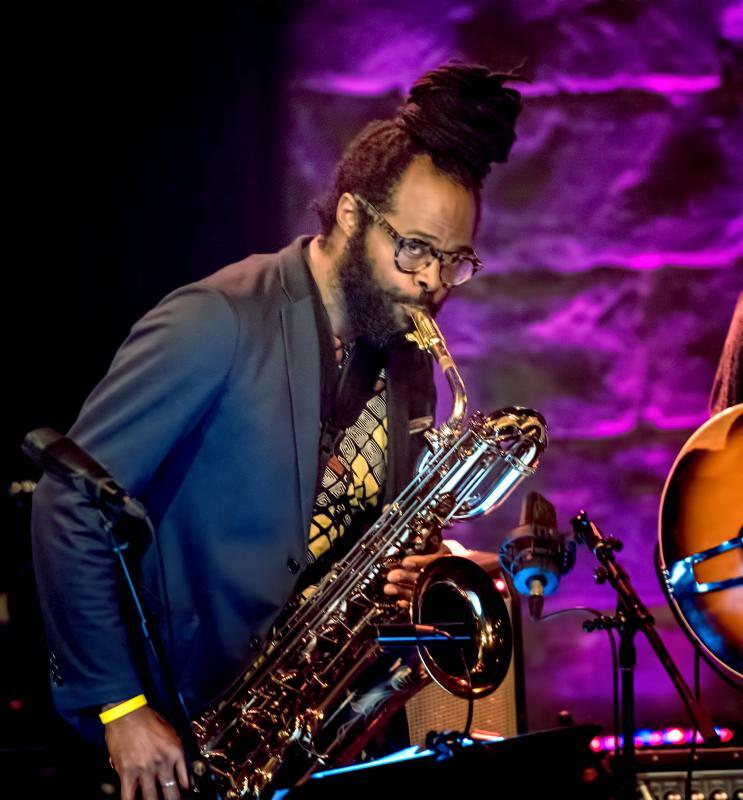 Both Ellis and Marshall are young veterans of the New York City jazz scene and are most definitely talents deserving wider recognition. Olatuja has a gorgeous voice and can accommodate a wide range of styles. I immensely enjoyed her contribution. As Sullivan describes, one of the highlights was an unplanned, spontaneously improvised and rather humorous vocal duet between Smith and Olatuja. It was another great evening in the sacred hall! Ivo Neame on piano, Anton Eger on Drums and Michael Janish on bass. 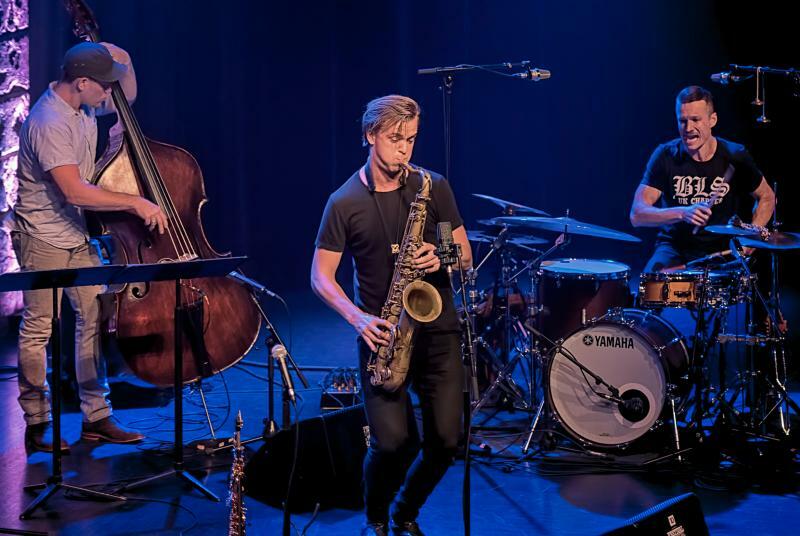 Neame and Eger are two-thirds of the outstanding European acoustic jazz power trio, Phronesis with bassist Jasper Hoiby being the other member. Neame is a brilliant pianist, steeped in the tradition, but very much forward-leaning in his approach. He can play with remarkable delicacy and beauty, but also unleash thunderous cascades of sound at breakneck speeds. He is the perfect foil for Neset, offering both support, but also matching his virtuosity. Eger's is both a sensitive accompanist and an incredibly dynamic hyperkinetic soloist and a very animated performer. Neset's music has the quality of being highly advanced yet quite accessible. He joked about how his effort to write a simple almost folk-like composition can turn into something unbelievably complex with (almost) unplayable meters. 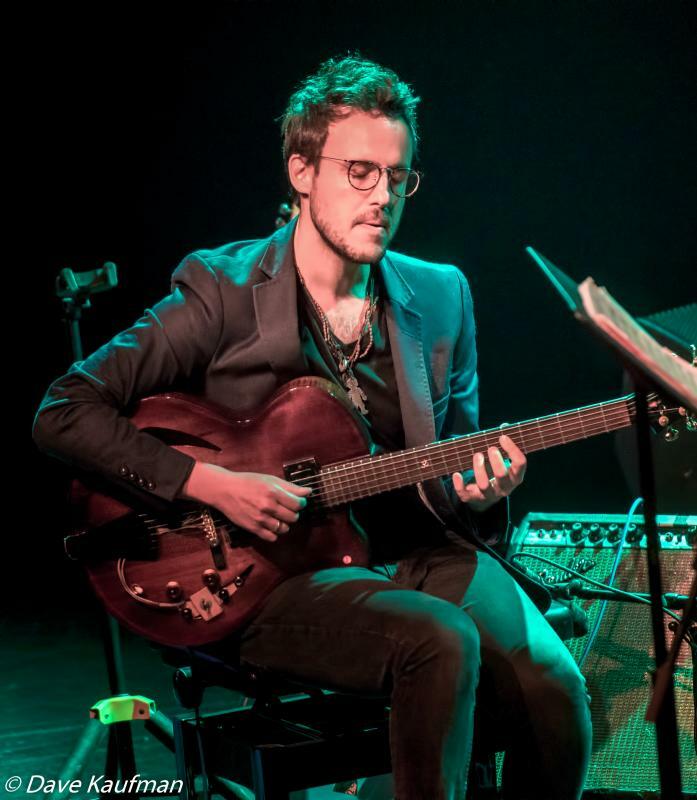 Neset is recognized as a leading jazz artist in Europe and is just beginning to establish himself in North America. This was his first appearance in Montreal. Despite that, the crowd was very knowledgeable as often happens at Salle De Gesu. They were also extremely receptive. The group performed a superb 100+ minute set. 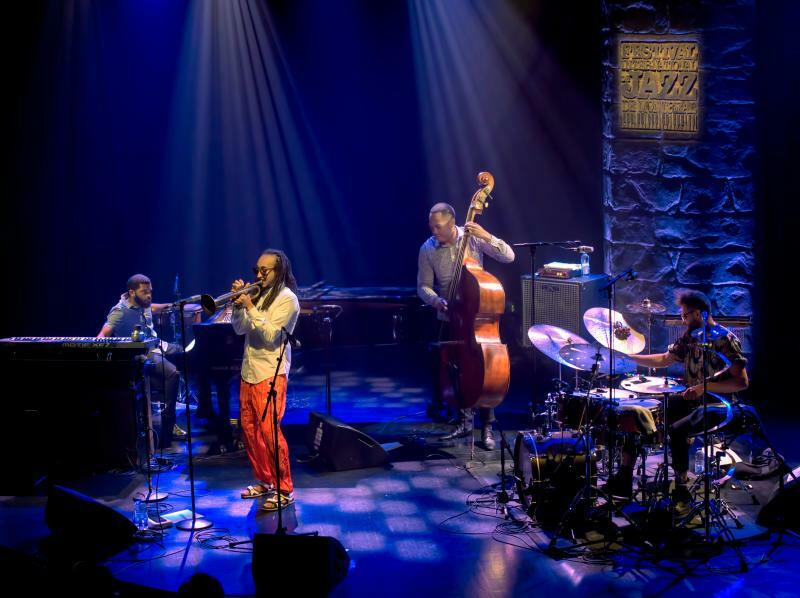 It was another glorious Jazz Dans La Nuit experience! 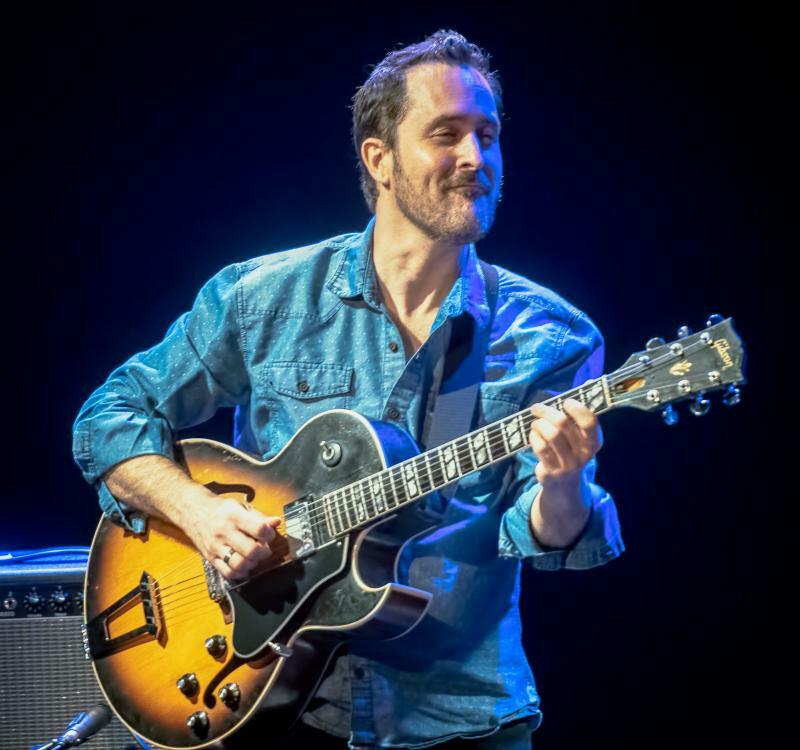 Gilad Hekselman, an Israeli born guitarist, has established himself as a first-call sideman in New York City for numerous artists including Chris Potter, Anat Cohen, John Scofield and Christian McBride. He has also been building a very solid solo career over the course of the past decade. 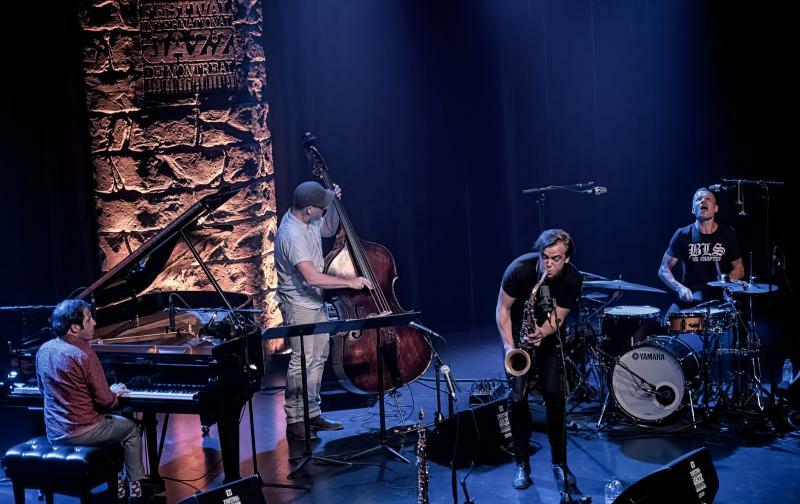 Hekselman brought his Trio of drummer Jonathan Vincent and bassist Rick Rosato (who hails from Montreal) to the Jazz Dans La Nuit Series. 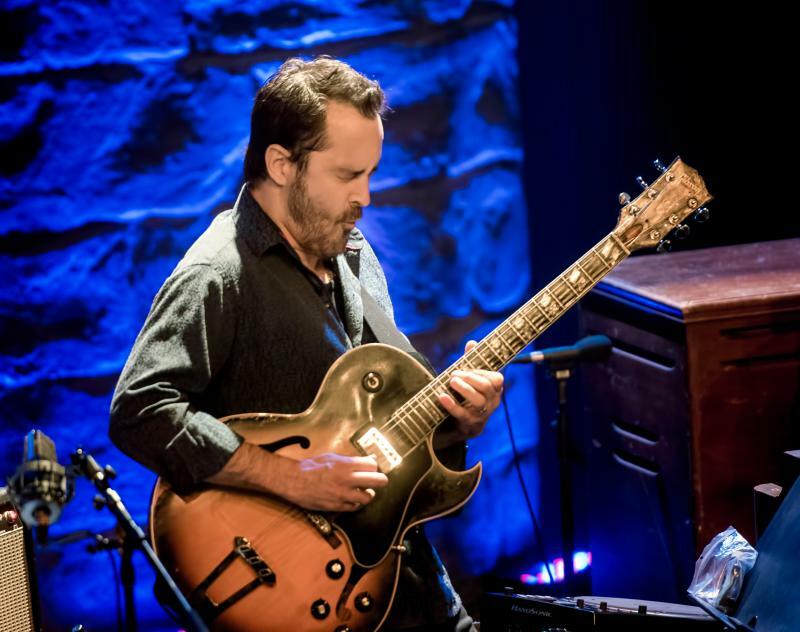 Hekselman is a clean-toned guitarist grounded in mainstream jazz guitar, but also open to a wide range of influences. 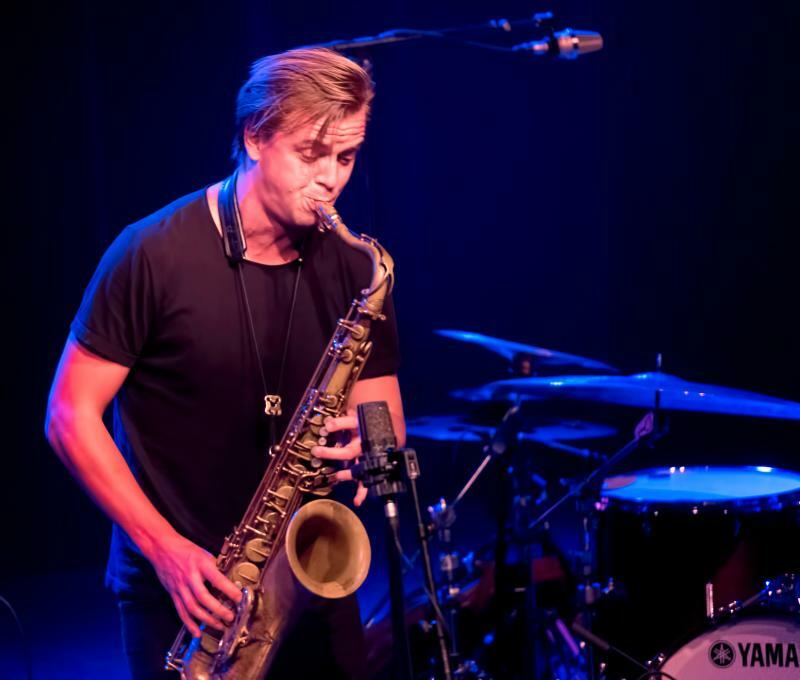 In this concert, he also explored more fusion-oriented terrain as well as more adventurous free sounds. The trio mostly performed compositions penned by Hekselman. 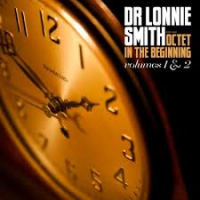 The compositions are both richly melodic and conceptually complex. The Trio was accompanied by the great Mark Turner on tenor saxophone. Turner is the consummate collaborator. 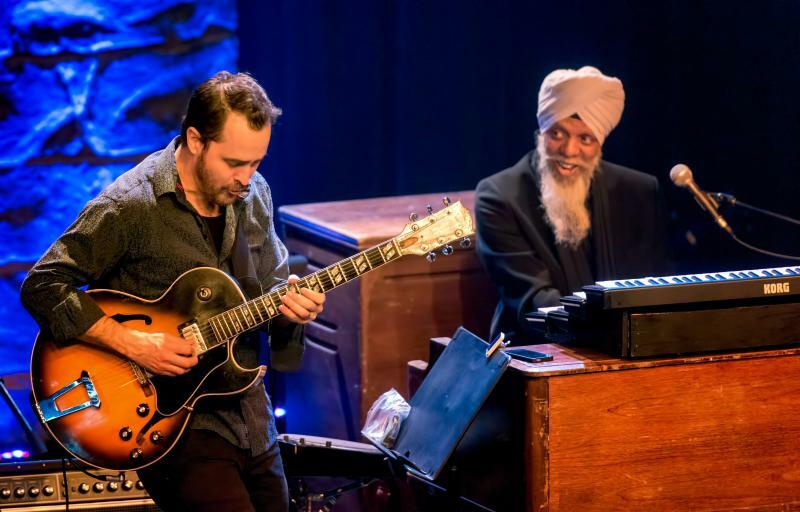 He is known for his longstanding relationship with guitarist Kurt Rosenwinkel. 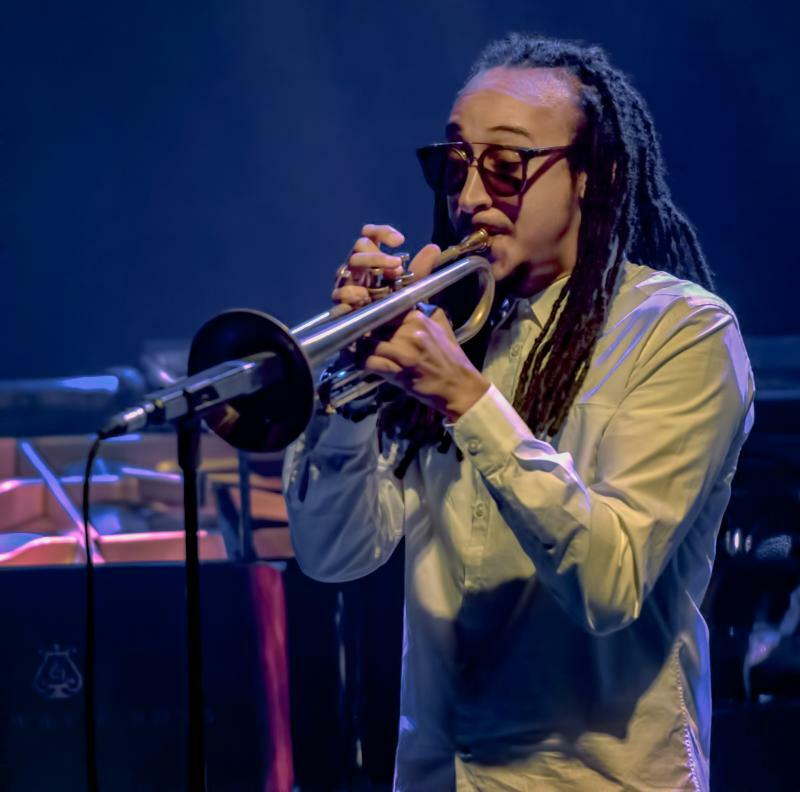 He is also part of a formidable tenor-trumpet combo with Avishai Cohen. Turner is a cerebral, but soulful musician. 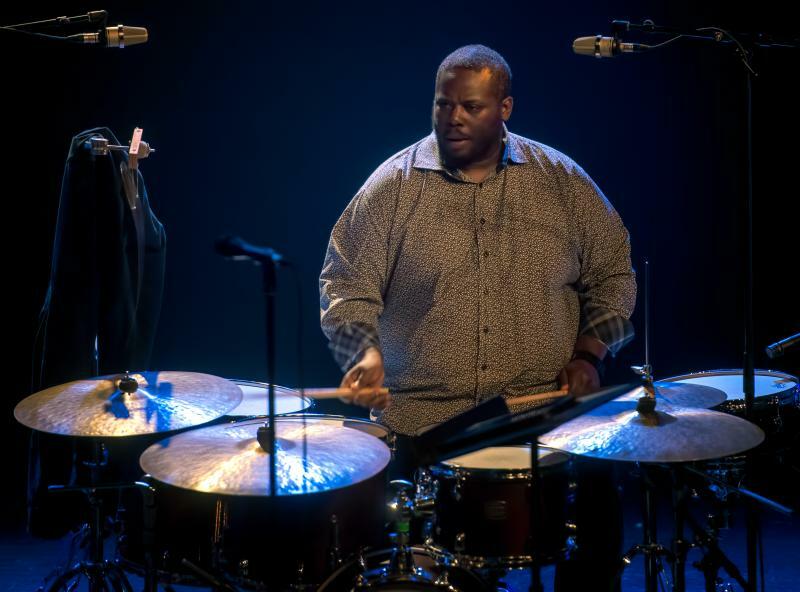 He has played with Hekselman for some time, appearing on his highly acclaimed Hearts Wide Open album in 2011. Both Hekselman and Turner are methodical soloists capable of knotty musical abstractions as well as great lyrical beauty. 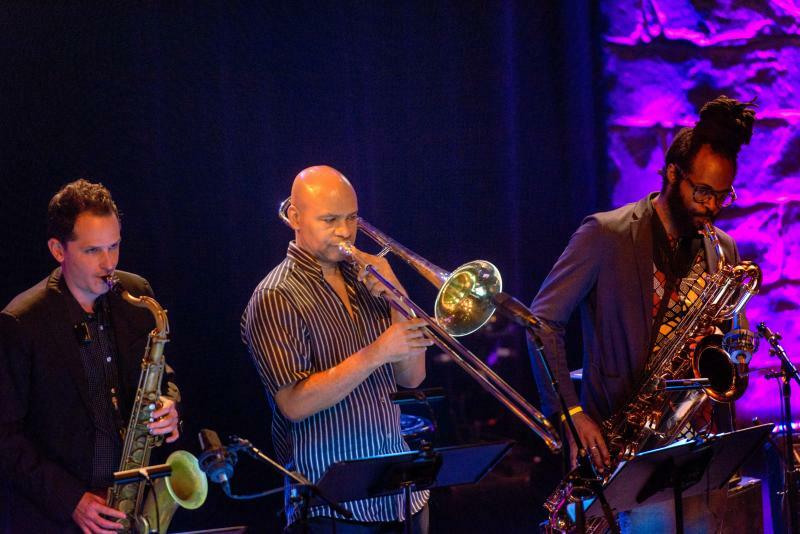 They share a deep empathy and warmth as well as a shared belief that jazz is best played as a team sport. 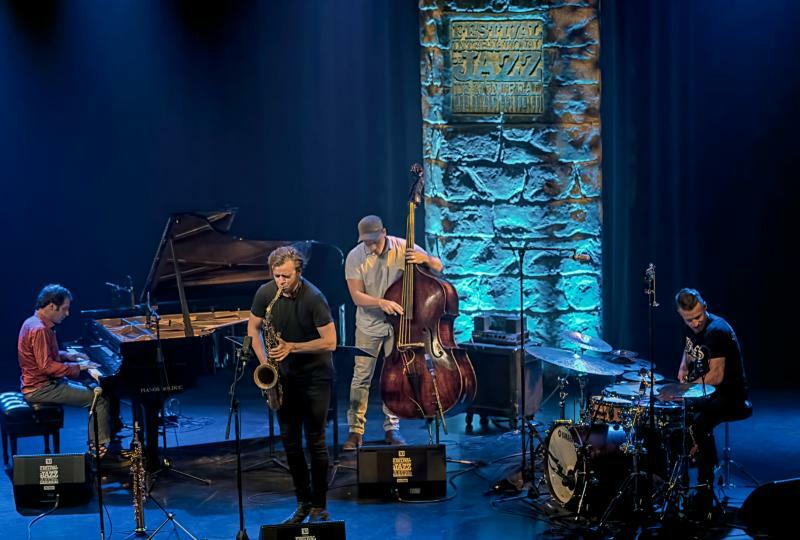 Jamie Saft has the distinction of playing the very last concert of the Jazz dans La Nuit series and the 2018 festival. The crowd at Gesù was small but enthusiastic as always. 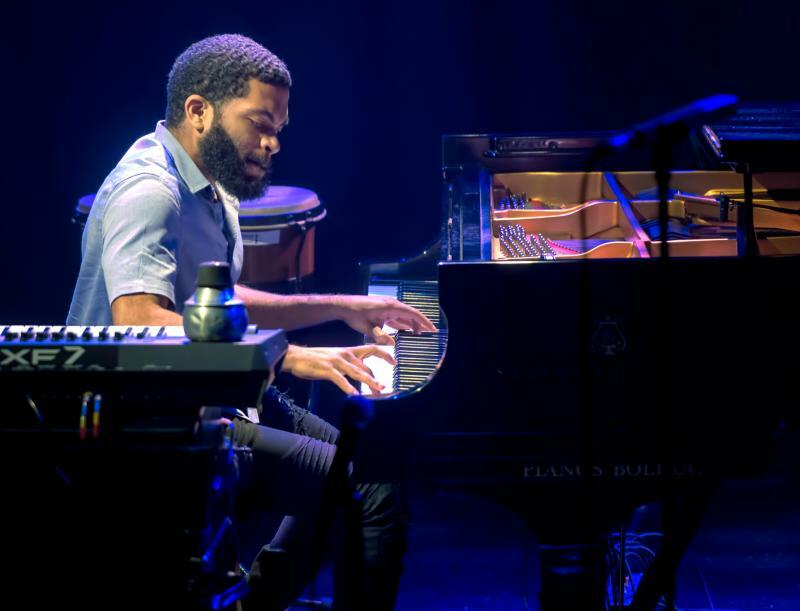 Saft performed a solo piano concert that focused on pop songs and standards. He released a solo piano live set of similar music, Solo a Genova this past year. This is a lyrical set of both relatively faithful and re-imagined songs played with great warmth and without a hint of irony. 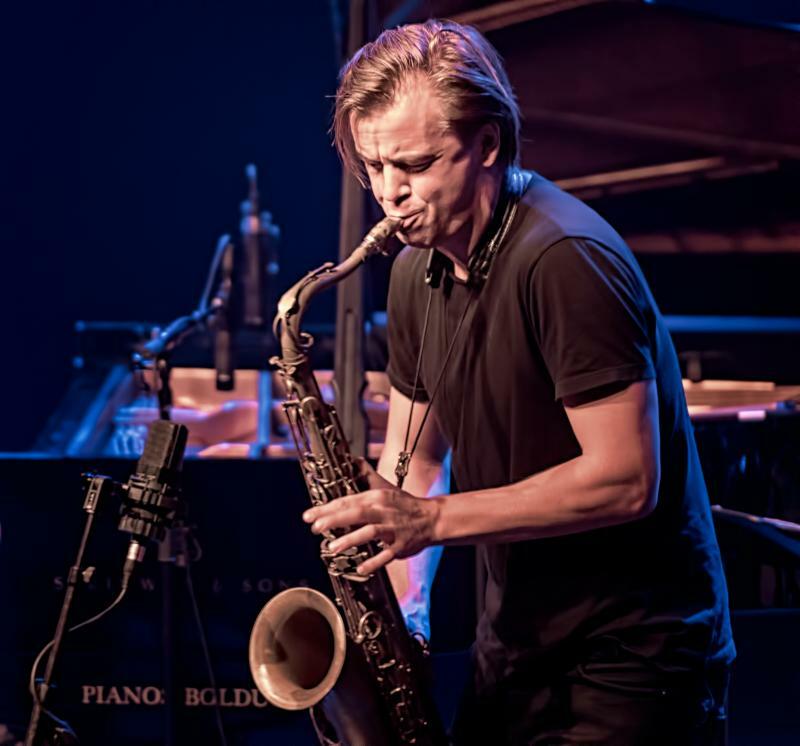 Saft is a prolific recording artist, and his work covers a lot of territory from heavy metal jazz (yes, it's a thing) to his work with John Zorn to a sideman gig with singer Youn Sun Nah. He does it all remarkably well. I only caught the first 15 minutes of his set, and I found his playing absolutely captivating. 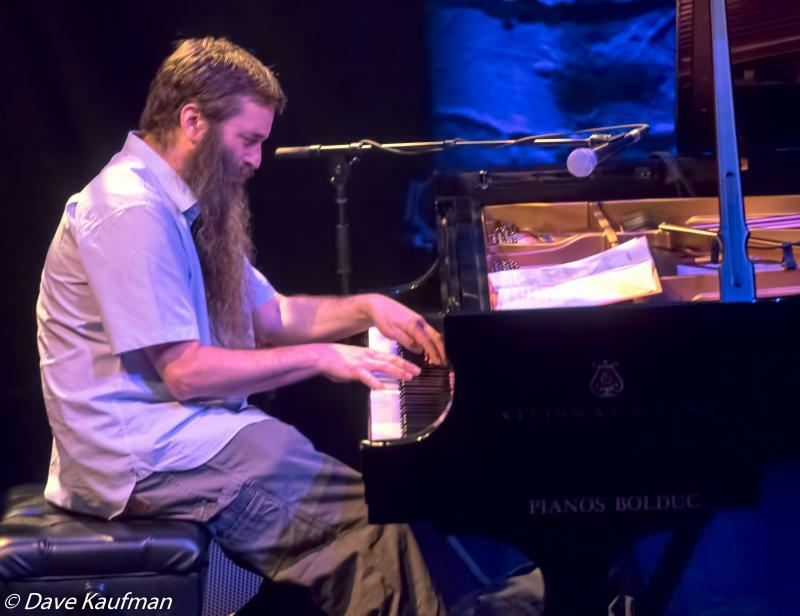 Mark Sullivan's review ends on the following note "Saft's solo piano playing was a marvel: quietly virtuosic and unabashedly beautiful." I can't say it any better. 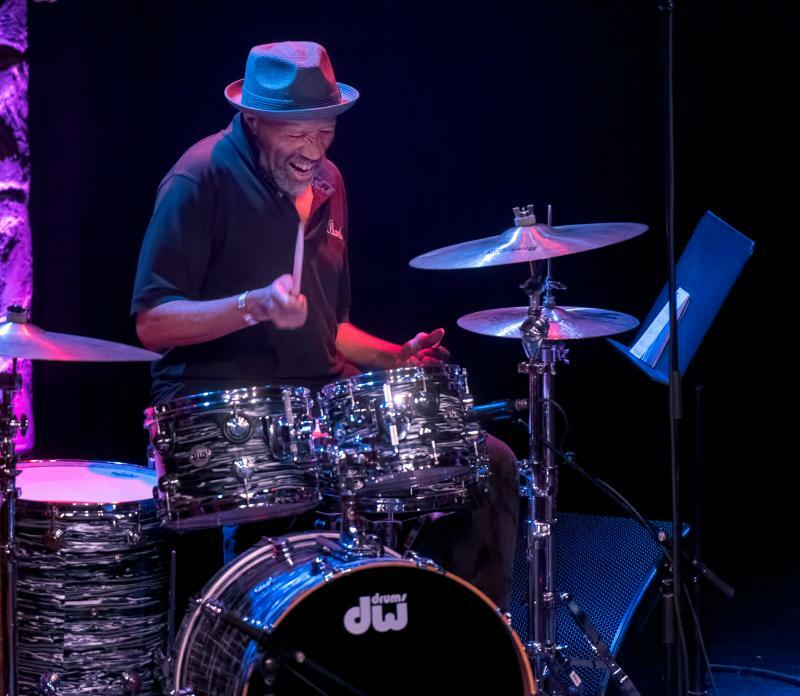 Distinguished jazz broadcaster and journalist Michael Bourne, a festival participant for the last 25+ years, noted that "I always want to end a festival day in the Salle de Gesu." Who can argue with that? This is the final of four In Pictures articles on the Montreal Jazz Festival. I'm very grateful to the media staff who work very hard to support us. The festival attracts journalists from all around the world. Many return year after year and the camaraderie is one of the best parts of the experience. It is always a great privilege to work as a photographer at the fest. Ten days of dragging your (increasingly heavy) camera bag around from venue to venue can be a bit of a grind, but there is never the thought that it isn't all worth it. I'm immensely impressed and inspired by the effort and dedication of my fellow photographers. We all complain, but I don't think anyone would rather be anywhere else at that time. 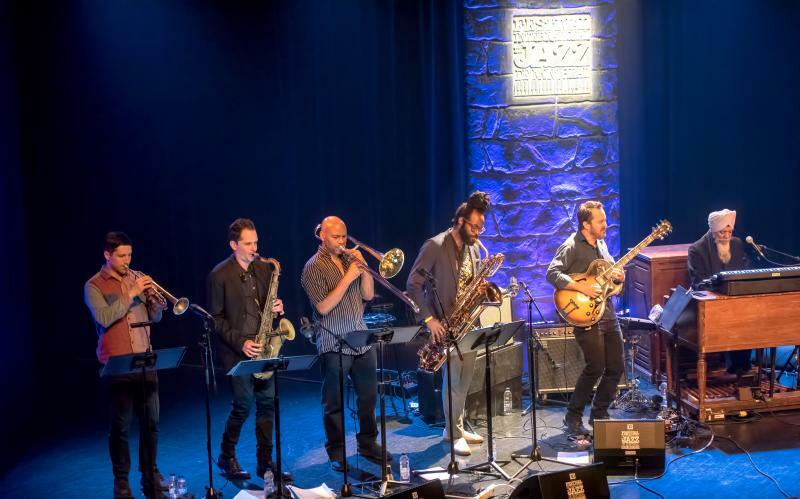 The good news is there are only 301 days till the opening sounds of the 40th Festival International de Jazz de Montreal.